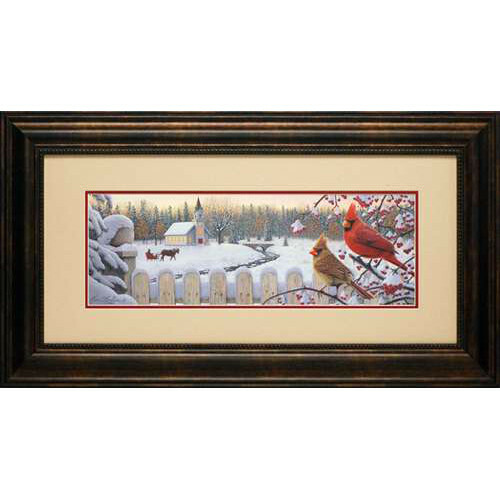 White Crimson Morning by Kim Norlien features a pastoral winter landscape complete with a winter snowfall, a country church, a horse drawn wagon and white picket fence upon which is perched a beautiful colorful male and female cardinal. The red birds really make the beautiful country scene complete. A stunning wholesale art print for any wildlife, rustic country or lodge cabin decorating theme.